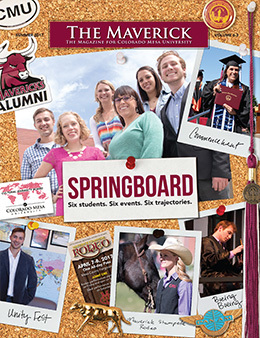 The Maverick magazine is a great way to stay in touch with current events at your alma mater, old classmates and the bright future of Colorado Mesa University. 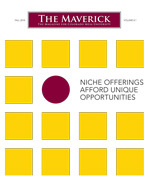 We would love to include you in our next issue of The Maverick. 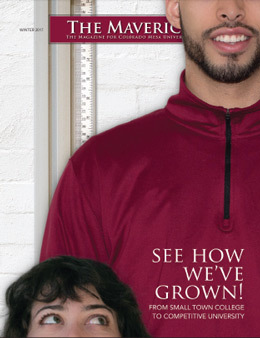 Submit your class note and let us know what you have been up to since you last attended Colorado Mesa University. Email us your best picture of the Maverick Salute and you could be included in the Mavs on the Move! 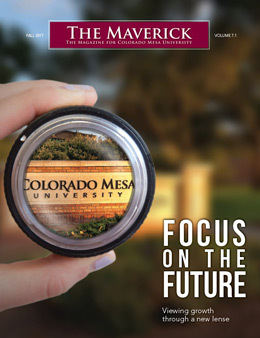 Send us your thoughts on this issue of The Maverick or story ideas for the next issue to maverick@coloradomesa.edu. We want The Maverick to truly connect you with CMU. The best way to do that is to get your input. Complete the readership survey to let us know what you like about the magazine, what should be included and how it can be improved. 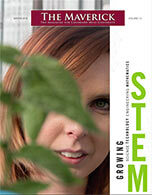 Click on a past issue to view online.